Paleo Low Carb Chocolate Macaroons! Can you say YUM?! So you may’ve noticed that I LOVE coconut + chocolate! When you are working with a gut disorder and trying to heal your gut at the same time you know gluten and sugar do not help with healing at all so I wanted to make a recipe that I could eat weekly as a dessert if you will after lunch each day and this did the trick! If you love an almond joy then look no further! My mom loves coconut too and probably one of my fondest memories with my mom and coconut was with my niece, Alandra, who traveled out to the East Coast to compete in figure skating. She had a competition in Monsey, New York which is where I remember tasting the most decadent coconut macaroons on this planet! This was the first time in my life that I had enjoyed the gooey, definitely not dry, flavorful chocolate coconut macaroon. I remember driving back on the freeway taking bites as we were driving back from Monsey to Connecticut wishing I had bought more than 3! The memories. When I was diagnosed with SIBO I knew I could add in some coconut to higher my fat to help me hold on to weight. I had been dropping weight pretty rapidly and knew I needed to add in some healthy fats. Prior to my SIBO diagnosis I had a lot of disordered eating I needed to heal from. I would purposely stay away from high fat foods because not only are higher fat foods high in calories but I always ate the traditional “body building diet” which I also believe caused a lot of my gut imbalances. More on that later… Lets go back to the Coconut! Coconut + Chocolate = WINNING COMBINATION! Coconut is low carb and high fat with a massive amount of health benefits. Quick energy boost that provides a super nutritious source of extra energy. in addition, coconut contains no trans-fats, is gluten-free, non-toxic and also contains antibacterial, antiviral, antifungal, and anti-parasitic healing properties. With a hand mixer beat egg whites on medium until they form loose peaks. Melt coconut oil and mix in cocoa powder. Whisk in clover honey, almond extract (think almond joy) and salt until evenly incorporated. Gently fold in cocoa mixture and egg whites. Bake in oven for 15 minutes or until the edges start to brown. As the edges are light brown, remove and cool. Cool and store in refrigerator and ENJOY! Ok, I may be the muffin queen over here but I LOVE a yummy warm healthy muffin in the morning! I usually freeze the others so it’s an easy option in the morning when I’m coaching clients. My mornings are usually pretty busy so I always have my breakfast prepped and ready to go. I have found if I don’t have a nourishing breakfast it will throw the rest of my day off so like I said I’m ALWAYS prepped. Let’s talk about these Paleo Lemon Almond Blueberry Muffins because they are not only super moist and scrumptious, they are super healthy! It’s a perfect way to satisfy your sweet tooth. As I mentioned they are incredibly yummy! Super healthy, Paleo and unbelievably moist which is usually how things turn out when I bake with hazelnut flour and almond flour. Preheat oven to 350 degrees, and line muffin tin with parchment paper muffin liners. In a medium bowl add almond flour, hazelnut flour, coconut flour, baking soda, and salt. In a large bowl mix together bananas, eggs, coconut oil, lemon juice and almond extract. Pour dry ingredients into large bowl of wet ingredients, using a spatula to stir. Fold in blueberries. Pour batter into your lined muffin tins. Bake for 25-30 minutes - watch them and take out of oven when done. Ovens can carry keep this in mind. As I’m sitting here on a cold wintery day in the middle of a snow storm I’m craving a healing stew for lunch. There are also two types of people in this world. I’m not referring to the people who wake up early or sleep in I’m talking about the people who LOVE prepped meals and leftovers! Leftovers. It’s a hot topic as some love them and others don’t! Whatever your preference that’s ok but I love me some leftovers for a few days so my lunch is prepped and easy to grab. This is actually super easy to make so let’s get to it! We just need to cook some vegetables in a yummy broth, add in the ground turkey, simmer, and voila! Dinner. This stew is healing and comforting all the while being very satisfying. Saute carrots and fennel in a pot with 1 tsp. garlic oil, once al dente transfer ground turkey into pot with carrots, chop cilantro and swiss chard while carrots, fennel and turkey are simmering on low. Add bone broth, tomato paste, Himalayan salt, cumin and cilantro. Simmer for a few more minutes and serve. I like to add some tabasco sauce on top I like spice! Also, a bit of fermented cabbage. Enjoy! A few years back, my girlfriend and I stumbled upon a boxed version of Gingerbread at Trader Joes. It’s one recipe that I wanted to recreate and make gluten free. I love grain-free loaves seasoned with fall spices. It’s one of my favorite indulgences, and makes me think of crisp fall days, and being comfy, cozy at home baking with holiday music playing. Cue Santa slippers in the kitchen! I of course added nutmeg and cloves to the recipe, because what is gingerbread without those two spices? For a touch of sweetness, I added bananas. It’s a perfect addition to this recipe, and adds the perfect amount of sweet flavor. Grease a standard size loaf pan with ghee, or line with parchment paper for easy removal of the loaf. Add in the hazelnut flour, baking soda, cinnamon, cloves and nutmeg, and mix again on medium speed until all is combined. Ok you guys I know you may be thinking how many more kinds of muffins is she going to make! I LOVE a good muffin. 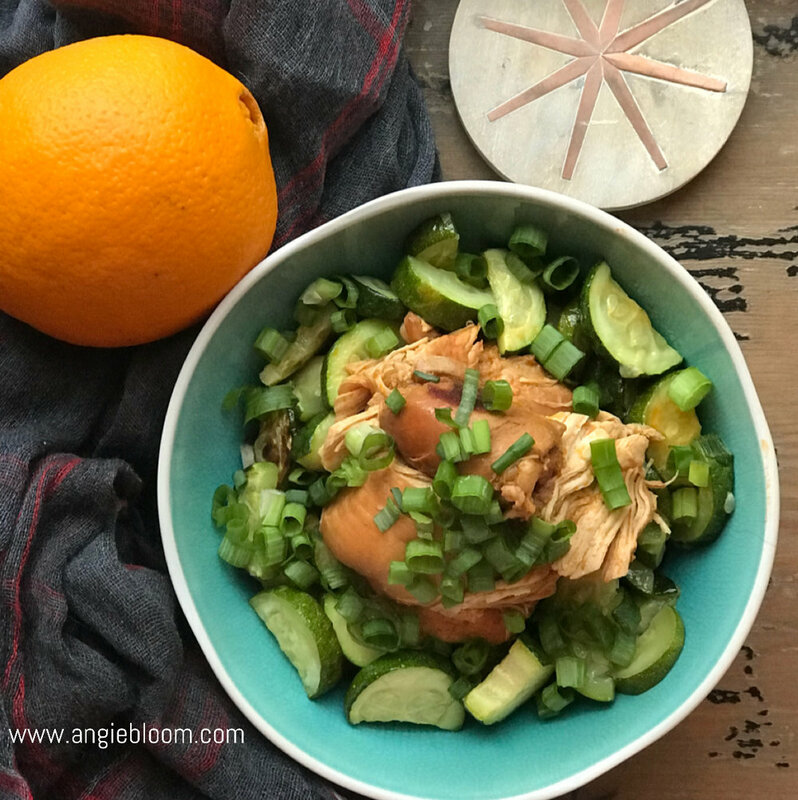 It's essential to me that I recreate some of my beloved favorites in a healthier version. It's important to me that I stay in alignment to how I want to be feeling weekly and also not break the bank with calories or experience a sugar crash after a higher carb/sugar regular muffin. These muffins are healthy and moist, bursting with warm blueberries, and then you get an explosion of lemon flavor you'd never guess it's super healthy for you! I added coconut last minute to this recipe. I think next time I make them I may leave the coconut out to enjoy more of the poppy crunch. If you love coconut like I do I would definitely add it but if you are not a lover of coconut I'd leave it out. Regardless, they will by bursting with lemony flavor! Ok, lets get to the recipe! Here we go! Preheat oven to 350F. Using a muffin tin with 12 parchment paper liners. Grab a large bowl combine almond flour, coconut flour, shredded coconut, baking powder, baking soda, and salt. In a medium-size bowl, whisk together lemon juice, 3 eggs, 1/4 teaspoon stevia, and coconut oil. Add dough to muffin tins and bake for 25-30 minutes until top is slightly golden brown and an inserted toothpick comes out clean. I have a slight obsession with muffins as you can tell! I like to create healthy treats but treats that won't break the calorie bank! These Healthy Paleo Morning Glory Muffins are loaded with nutrients like bananas, shredded carrots, walnuts, and shredded coconut. These easy muffins have NO added sugar – they’re sweetened entirely with bananas! They’re the perfect on-the-go breakfast or snack. They’re super soft and moist, thanks to the bananas, shredded carrots, and little touch of almond butter. The walnuts I added in the batter provide a super fun crunch to your pallet, and coconut adds texture and a burst of chewiness. The sweetness of the ripe bananas there's no need for any added sugar! 2. Combine eggs, nut butter and banana in a large mixing bowl and blend well. 3. Combine almond flour, coconut flour, cinnamon, vanilla, baking soda, baking powder, shredded coconut, shredded carrot and chopped walnuts and fold in to egg mixture. 4. Coat muffin tin or you can use paper liners and divide batter among 12 cups. 5. Bake for 28-32 minutes or until muffins are cooked all the way through. 6. Allow to let cool before serving. 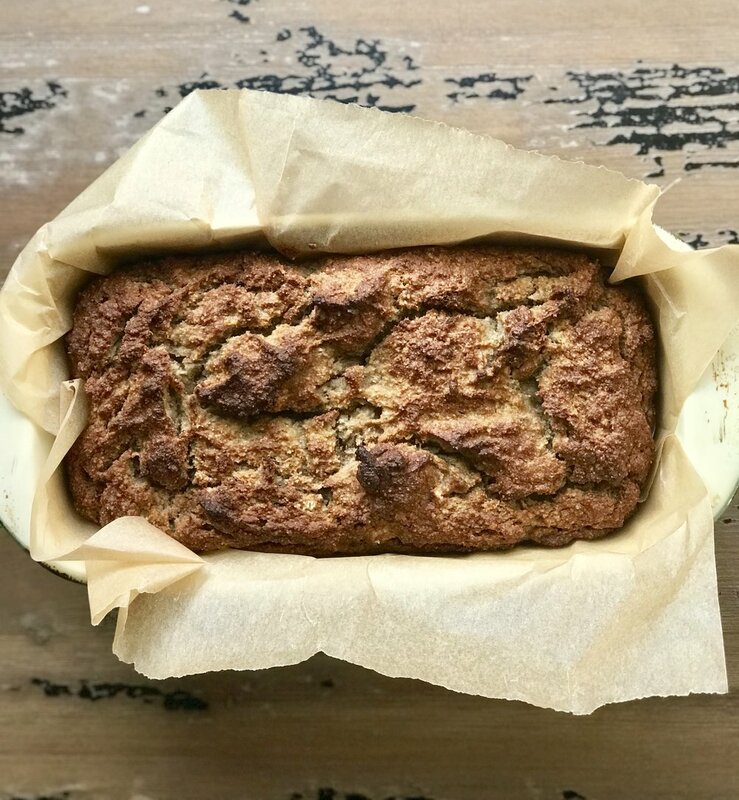 This delicious banana bread especially coming into fall is on the top of my list for a quick snack or breakfast treat! 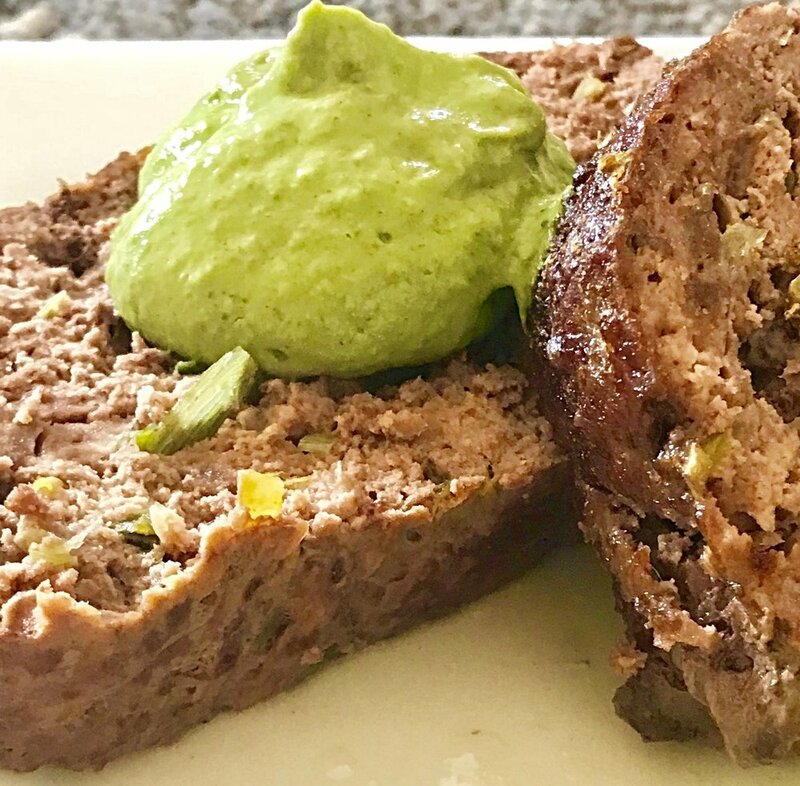 This Paleo inspired banana bread is made with no grains, dairy and no added sugar. It's gluten free, Paleo and sweetened only with bananas - YUM! I've been having this with my turkey ricotta meatballs in the morning and I must say the savory sweet combination is winning in my book! Enjoy! Whisk together all dry ingredients and set aside. Preheat oven to 350 degrees F and line a medium loaf pan with parchment paper. In a large bowl, whisk together the eggs and mashed bananas, then add vanilla and coconut oil until well combined. Slowly fold in dry ingredients mixture into the wet just until moistened and no visible flour remains. Do not overmix or it will not rise properly. Transfer batter to prepared loaf pan and bake in the preheated oven for 50-60 minutes until deep golden brown and toothpick comes out clean. Allow to cool in the loaf pan. You may remove the parchment paper to help you slice it! Carrot Crush Gluten Free Paleo Muffins! Moist and fluffy carrot crush paleo muffins, these grain-free and gluten-free healthier carrot cake muffins are the perfect morning snack to Break-The-Fast. They are paleo and SIBO friendly as well. I always want my grain-free creations to taste as close to the 'real' thing like when you bake with grains as they are also super fluffy and moist always. Grains aren't really my thing. I do eat some but if I can recreate a recipe that can eliminate them I do! I used a combination of almond flour and coconut flour to stay as close as possible to the consistency that I love. Typically, I'll fast 18-20 hours and break-my-fast with a muffin like this. I have other delicious muffins on my site that are also some of my favorites so take a look around. 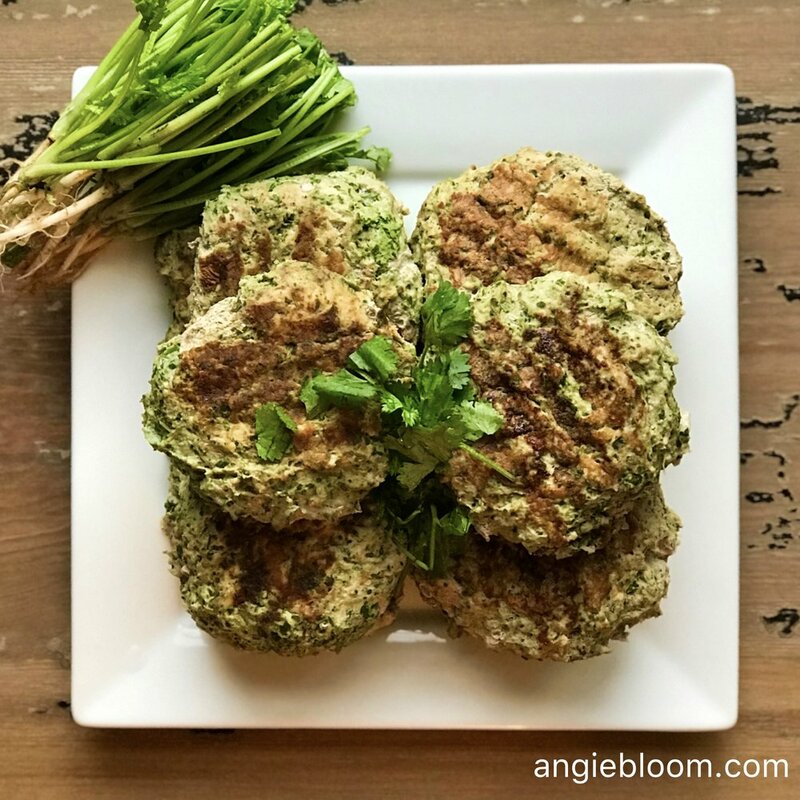 When I coach my clients, I also want recipes they can work into their macronutrients without calorically breaking the bank. These do just that help cure the craving for carrot cake, which if you know me, you know I LOVE and is my favorite cake hands down. Chocolate would be a close second! Back to the muffins, you could even make these for Easter which would give you an amazingly healthier option if you tend to go over board with the desserts at the holidays. Preheat Oven to 350 degrees F ( 175 C ). Line a muffin tin with 12 liners. In a medium bowl, mix together the dry ingredients (almond flour through nutmeg). Set aside. In a medium bowl, mix together the eggs, oil, vanilla and stevia. Divide the batter evenly among the liners and bake for 17-20 minutes or until a toothpick comes out clean. Let the muffins cool and dig in! I freeze mine and microwave for a minute in the a.m. prior to my training sessions. 1. Pre-heat over to 425 degrees F. Line pan; set aside. 2. Chop fennel into cubes; place on pan. 3. Chop basil and sprinkle on top of fennel. 4. Sprinkle salt and pepper to taste, add 1/2 teaspoon crushed red pepper if you want the heat and tolerate it. 5. Use your hands and massage oil, salt, pepper and basil into fennel. 6. Bake at 425 degrees F. for 15-25 minutes depending on the unique doneness you want. Fennel is an excellent source of Vitamin C. It is also has a good amount of dietary fiber, potassium, molybdenum, manganese, copper, phosphorus and folate. In addition fennel is also a good source of calcium, pantothenic acid, magnesium, iron and niacin. This is one of my all time favorite sides during the week! Enjoy! 1. Preheat oven to 350 degrees F. Grease or line 12 muffin cups with liners; set aside. 2. Combine coconut flour, almond flour, egg whites, almond butter, coconut oil, almond extract and water in a large bowl. Wisk until fully combined. Add in baking soda, baking powder, and salt. Stir with a spoon or spatula until fully combined. Fold in blissful blueberries. There you have it! This one is a favorite of mine! Enjoy! If you want a lower calorie muffin and also low carb for the a.m. that tastes just like your grandma's best banana bread... look no further! This recipe turned out perfect and the banana flavor was so yummy! Trust me you will not be disappointed! You would never guess that these Paleo Banana Blueberry Muffins have no added sugar – all the sweetness comes from the bananas! These gluten-free muffins make a great breakfast or snack. 1. Preheat oven to 350 degrees F. Grease pan or use 12 liners for muffins; set aside. 2. Combine eggs, bananas, almond butter, and almond extract in a large bowl. Whisk until combined. Add in coconut flour, cinnamon, baking powder, baking soda, and salt. Stir with until fully combined. Fold in blueberries. 3. Spoon batter into muffin tins, 3/4 full. Bake for 15-18 minutes or until golden. Cool for 10 minutes before removing from muffin tin. Store in refrigerator for up to 4 days. 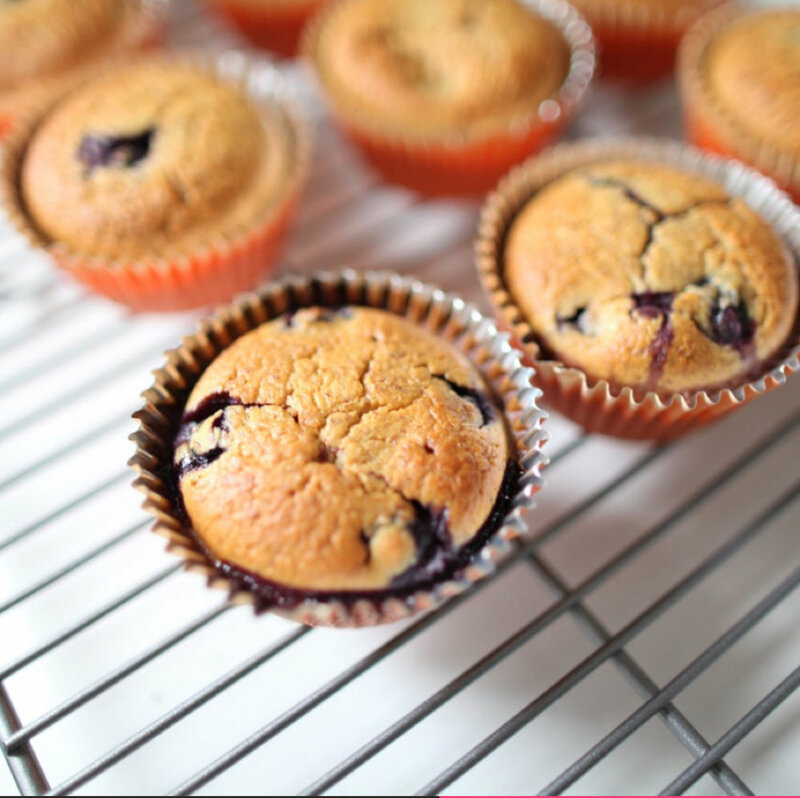 These muffins smell amazing coming out of the oven, and they taste even better! They’re sweet enough even without the sugar, allowing the banana flavor to shine. The texture is spot on! I do make enough to freeze so that I can pop one in to the microwave in between clients or prior to my workout! Yum! Is there anything better than a delicious bakery muffin? I wanted to create a low carb blueberry muffin that tasted just as good as my bakery style muffins I used to eat when I was younger. Do I dare say, they are just as yummy. I eat mostly low carb now because of SIBO and I'm completely gluten free. There was a time I'd drive to my local bakery to eat the best blueberry muffin in the coffee shop. I also at the time believed they were, in fact, healthy for me just because they had blueberries in them. Ha! Boy have I learned and realized that the wheat and sugar in one blueberry muffin not only equates to a lot of calories but also has many inflammatory markers for me. So here's the best news! Not only will these muffins keep your sweet tooth satisfied but also they are lower in sugar and will not soar you in a downward spiral with a sugar crash! This recipe is super easy. The muffins themselves are moist and super flavorful. All you need is one bowl to make the batter. I'm always game for less dishes! If you want bigger muffins each just decrease your muffins from 12 to 10. I like making twelve at a time and freezing some for my mornings on the go. Ok lets get to the recipe! 1. Preheat oven to 350 degrees F, Line a muffin pan with 12 parchment paper muffin liners. 2. In a large bowl mix dry ingredients together. 3. Add eggs, almond extract and water to incorporate and fold in blueberries. 4. Distribute the batter evenly among the muffin cups. Bake for 20 minutes until the top is golden and an inserted toothpick comes out clean.